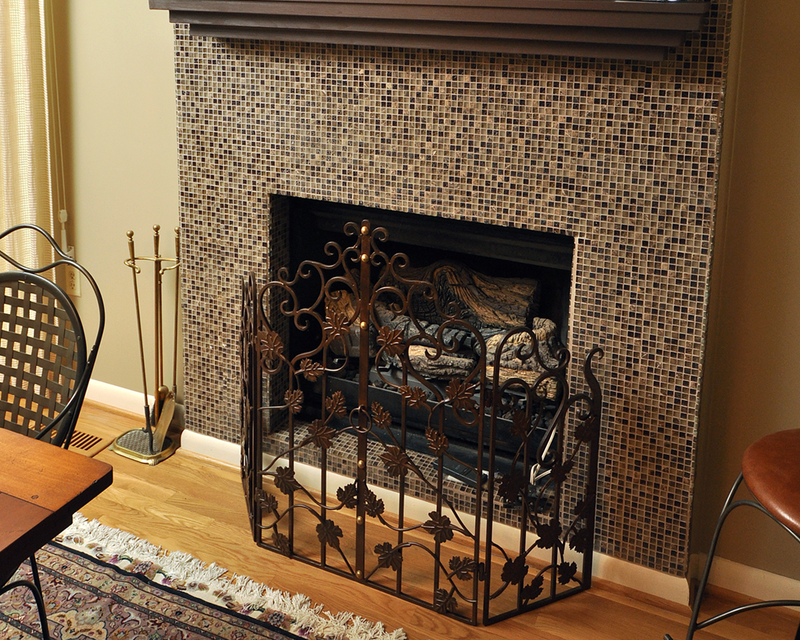 We gave the fireplace a facelift and change the material from brick to glass tile. We added a fireplace screen and accessories. We also provided the rug.